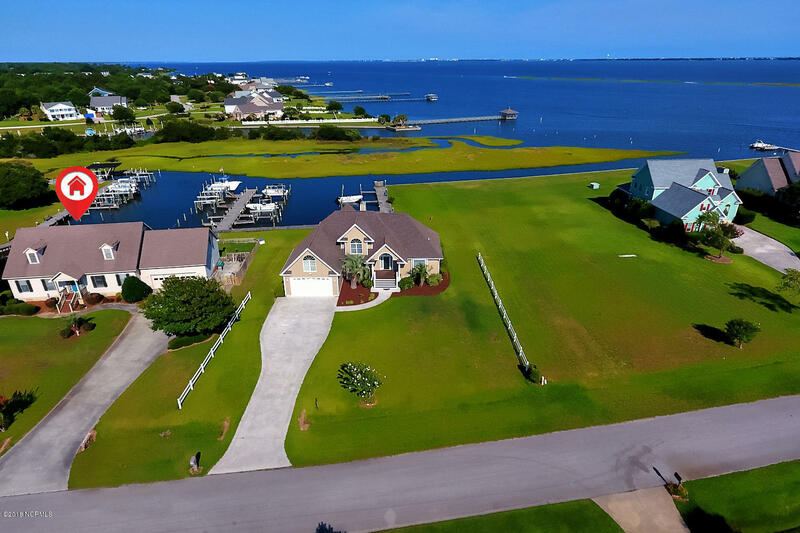 One of the most highly sought after areas along the Crystal Coast is the waterfront subdivision Blue Heron Bay. 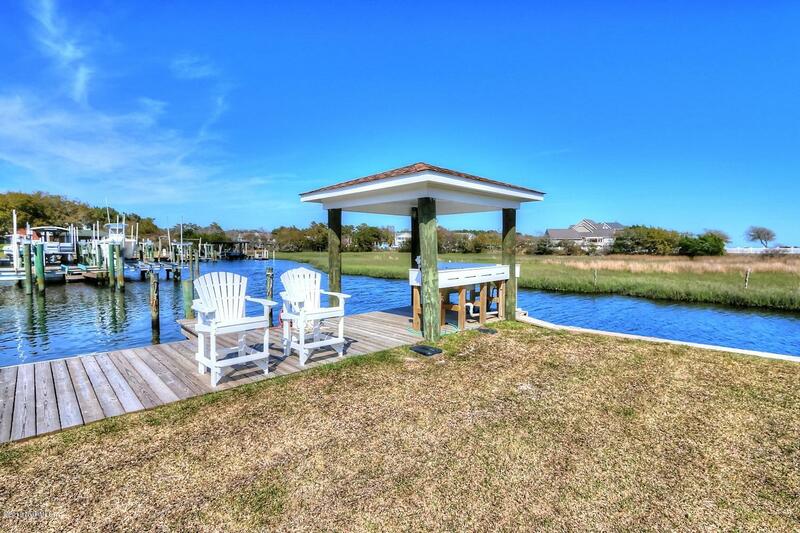 It is nestled between Highway 24, Bogue Sound and the Intracoastal Waterway (ICW). 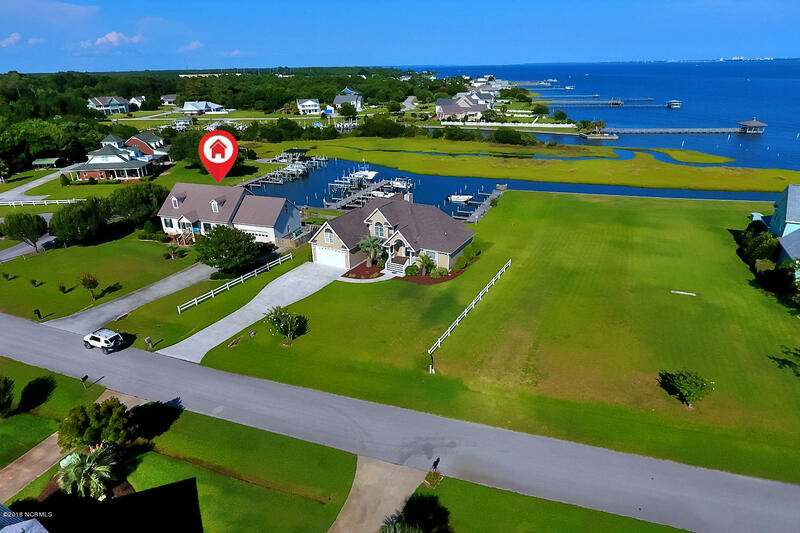 This prime waterfront community gives quick and easy access to the ICW, Bogue Sound, Bogue Inlet, Emerald Isle and the Atlantic Ocean! 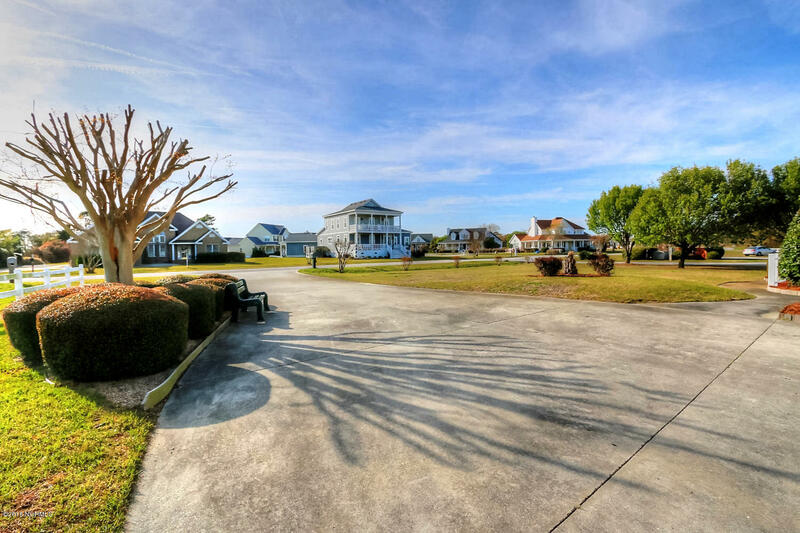 Now, one of the premiere homes in this subdivision has just come on market for sale. 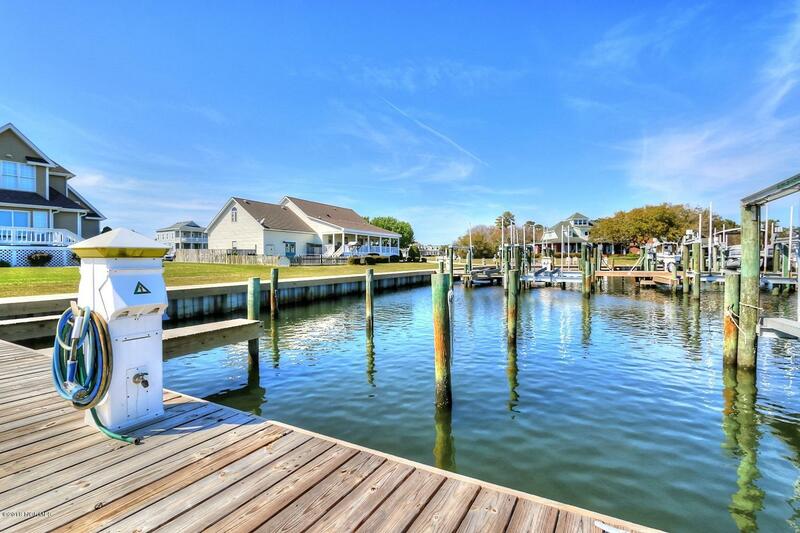 If you are a boater, fisherman or love the water and the coastal lifestyle, then you are going to love this home. 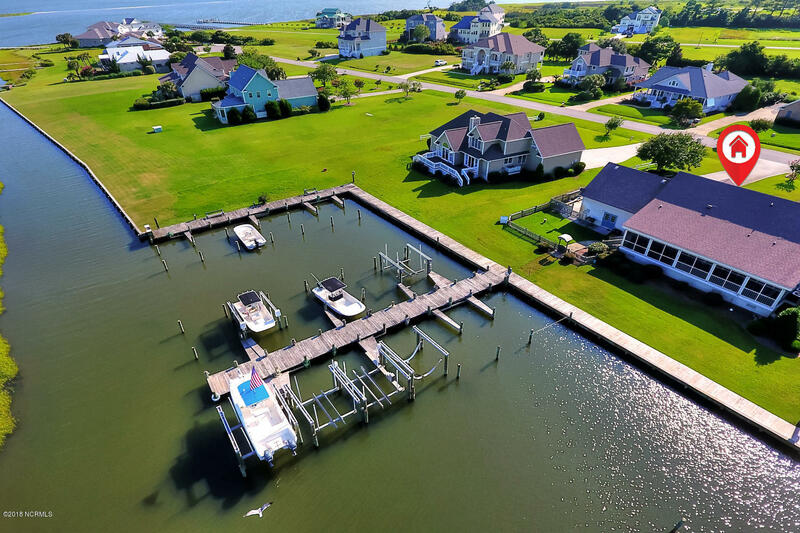 Not only is this a waterfront/marina front home, it also comes with deeded water access with boat slip #18 and boat lift. 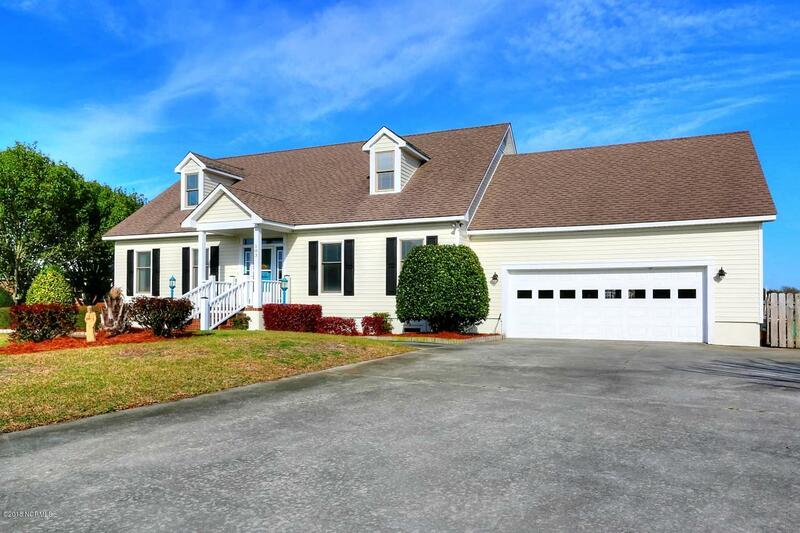 503 Blue Heron Dr. is a 2610 square foot home. 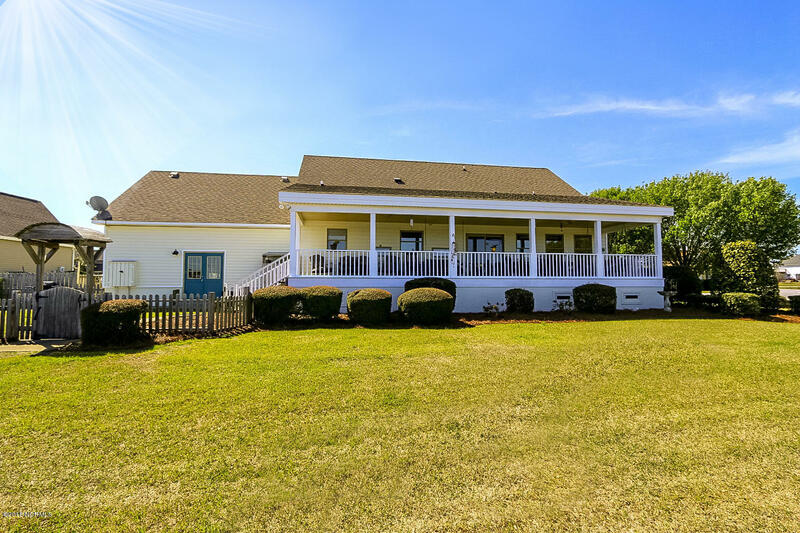 It is situated on 0.39 acre of land. 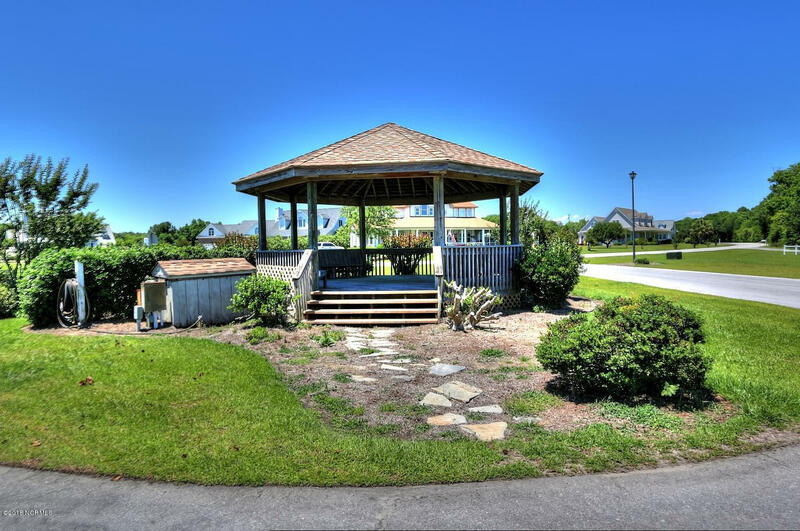 As you’re about to discover, it is a home with the room, comfort, view and access that makes Crystal Coast living great! 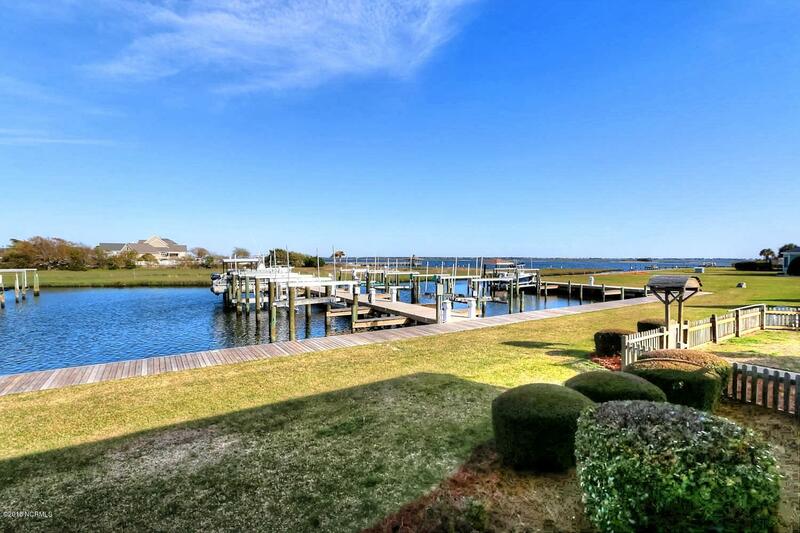 503 Blue Heron Dr. has a huge porch fronting the water and marina. 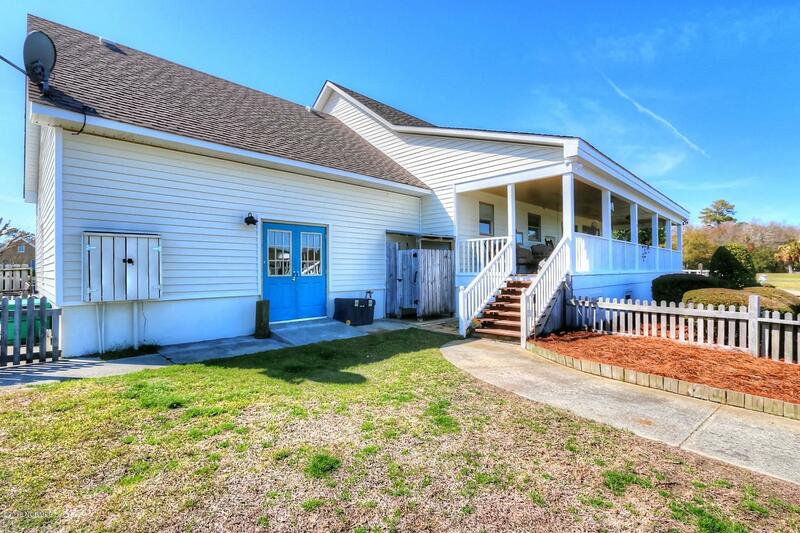 This very spacious, 46 foot long covered porch has amazing views of Bogue Sound, the ICW and marina. 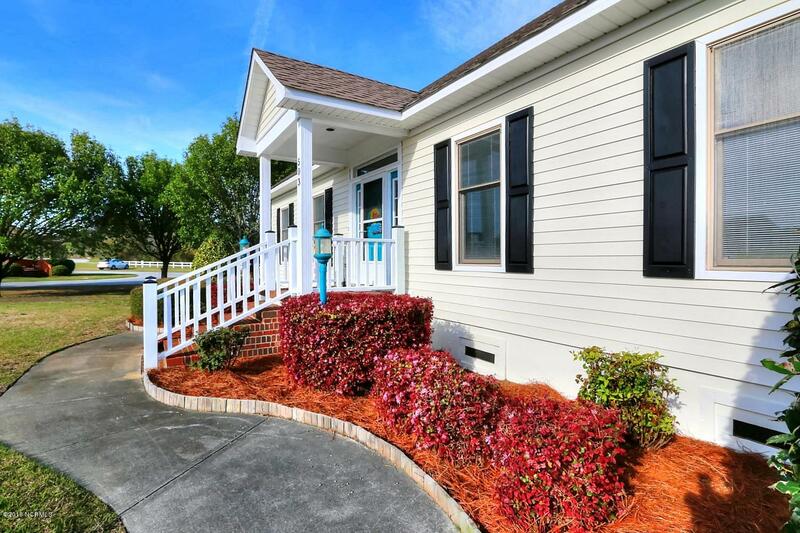 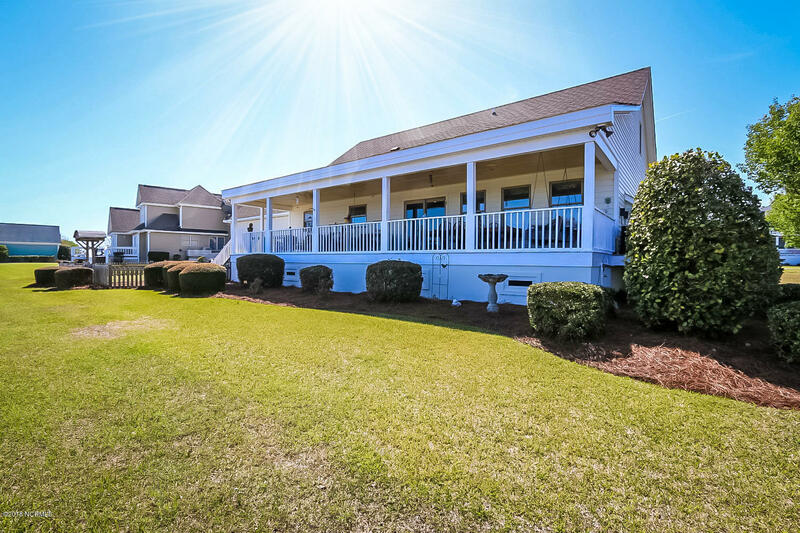 Imagine the beautiful waters of Bogue Sound, sunsets and glorious sunrises all from the comfort of your porch! 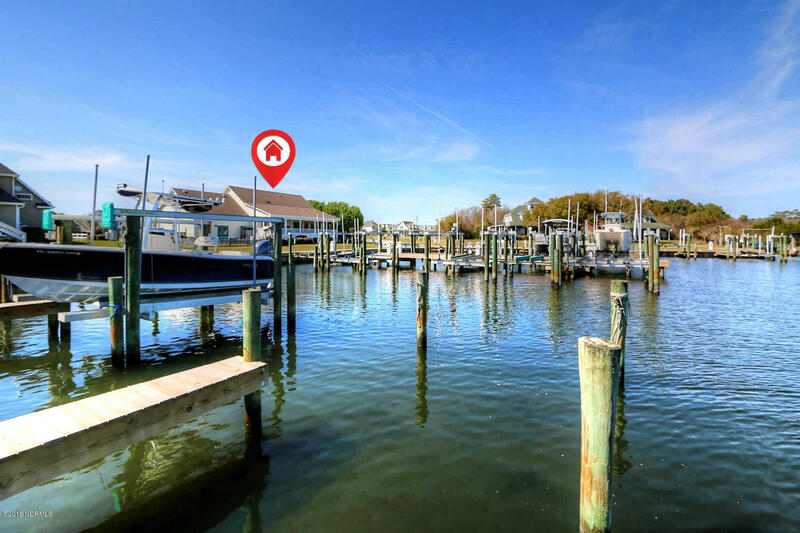 The marina was completely updated and refurbished anew in 2017. 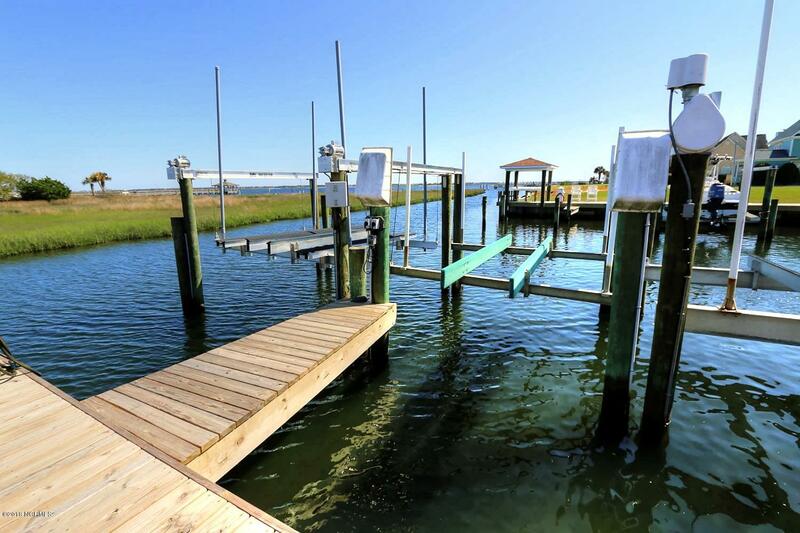 These updates include new gazebo, docks, planking and most importantly, the dredging of the marina itself! 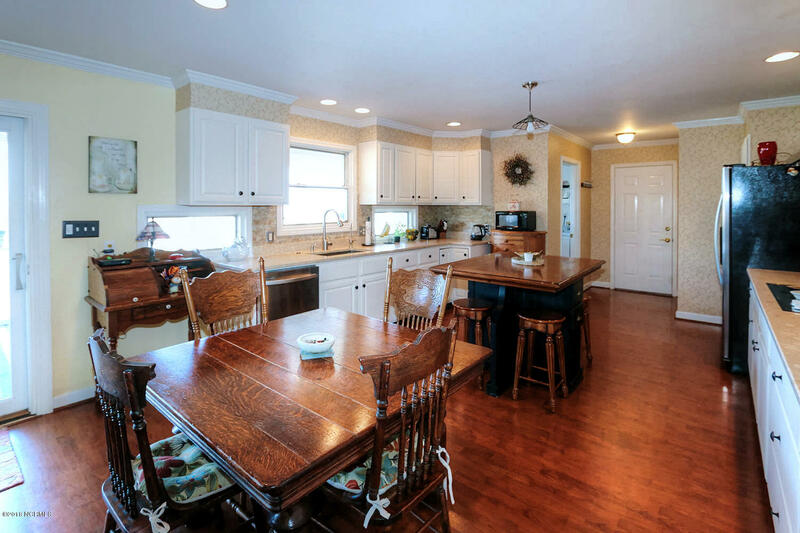 One of the features of this home is a large upgraded kitchen with plenty of countertops and cabinet space. 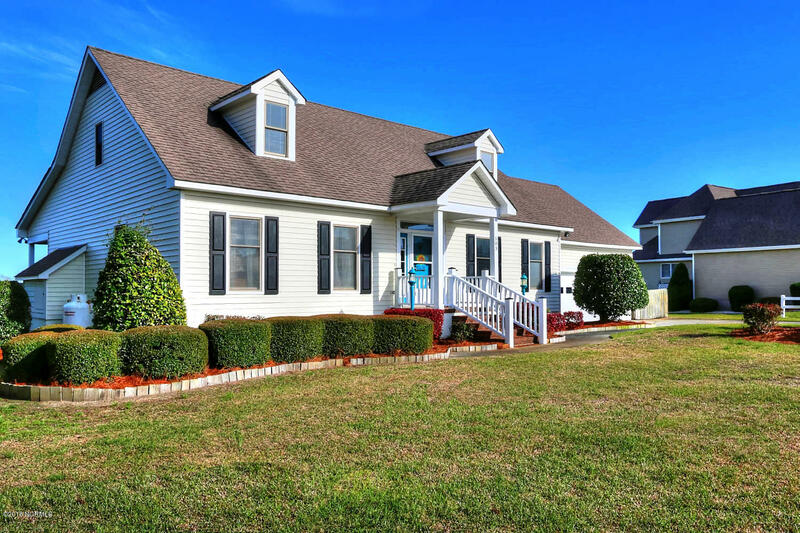 It features a stainless steel refrigerator, built in oven, flat surface cooktop, hood, beautifully tiled backsplash wall, granite counter tops, wood laminate floors, a wooden kitchen island and 2 windows that open so you can pass food from the kitchen to the back porch. 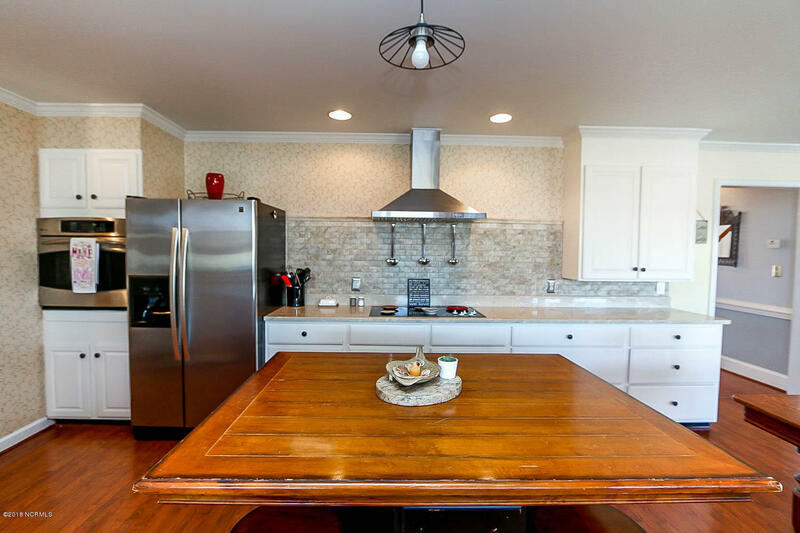 Indoor cooking and outdoor dining made easy. 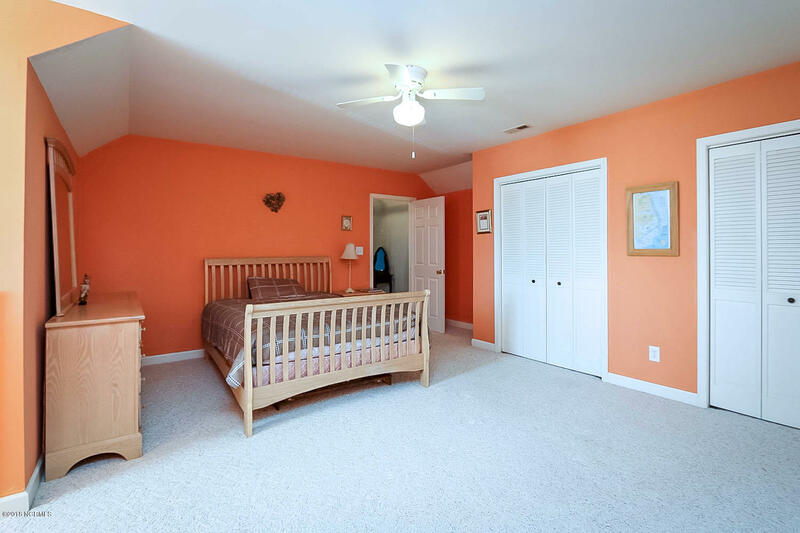 Adjacent to the kitchen is a pantry with laundry room as well as a separate half bathroom. 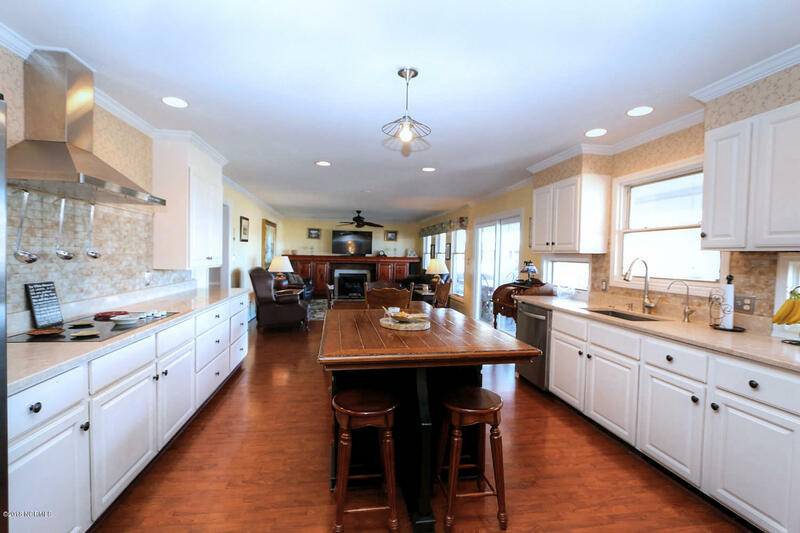 In addition, the kitchen has access to the 2 car garage. 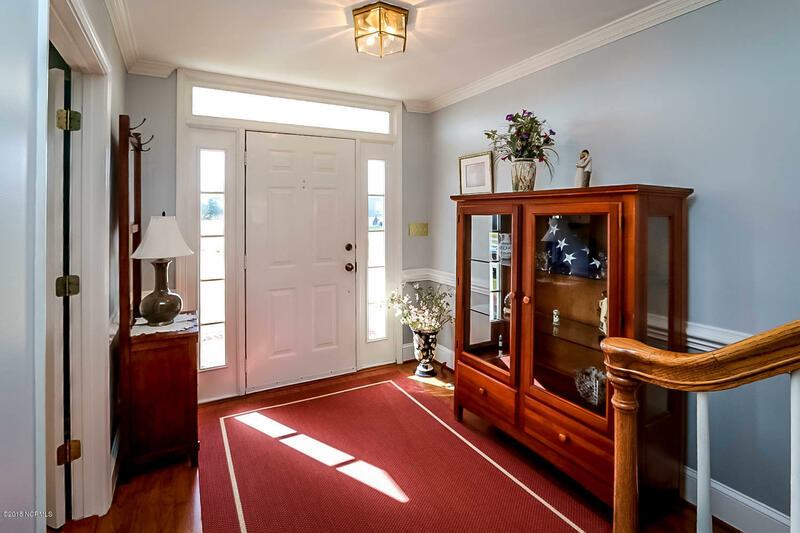 Moving from the kitchen we walk through the dining area and into the living room. 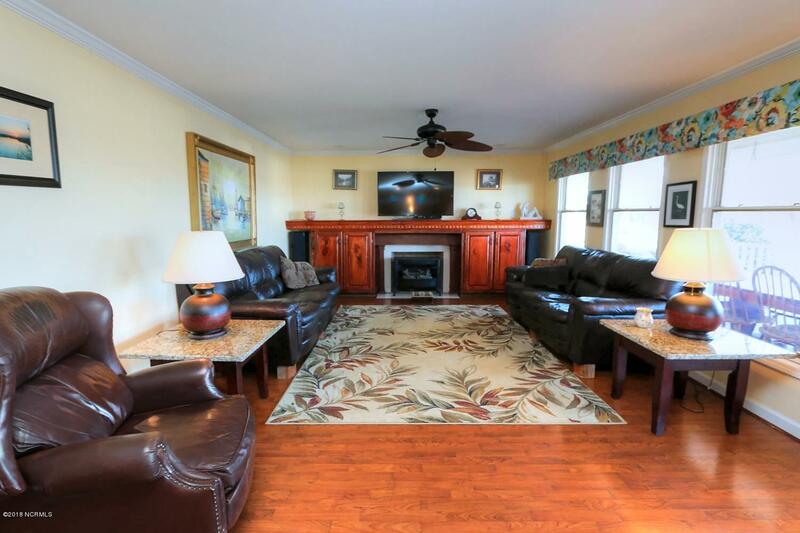 The living room, like the kitchen has magnificent views of Bogue Sound, marina and the ICW. 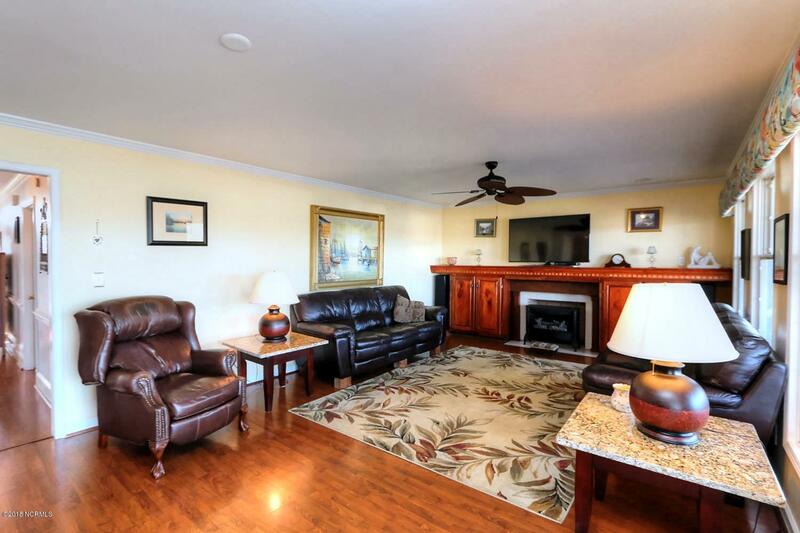 In addition, there is a working gas log fireplace for warmth and esthetic beauty. 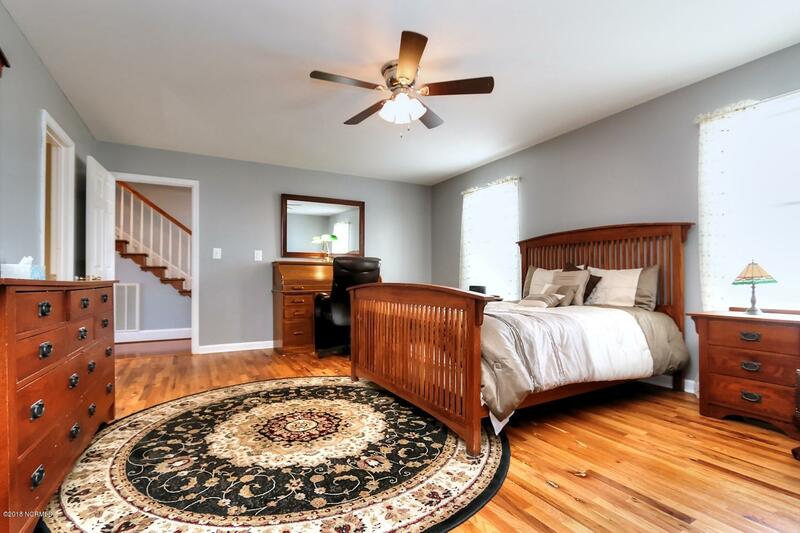 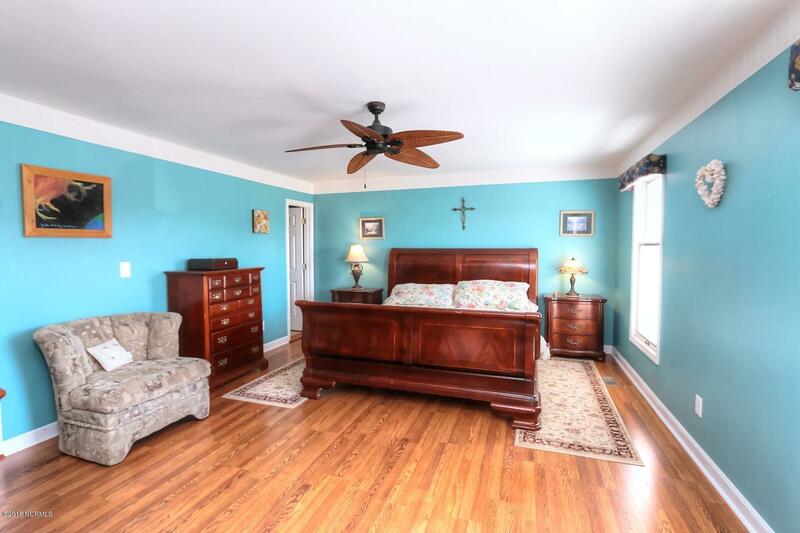 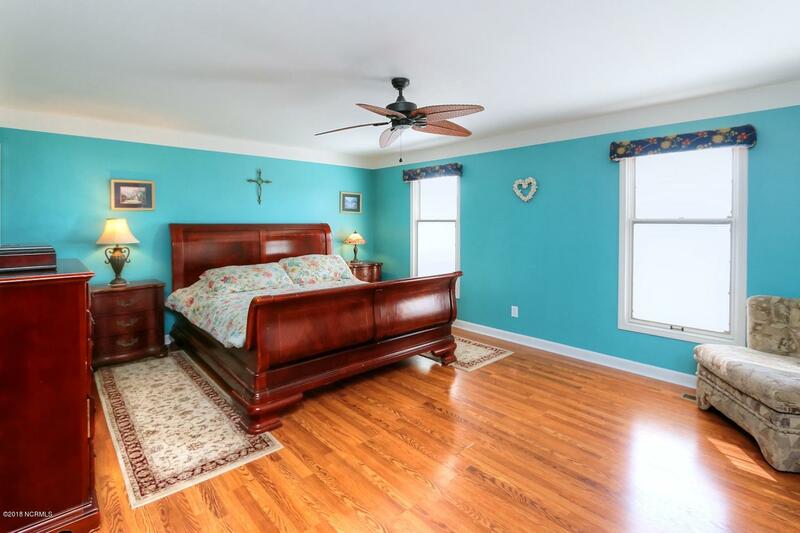 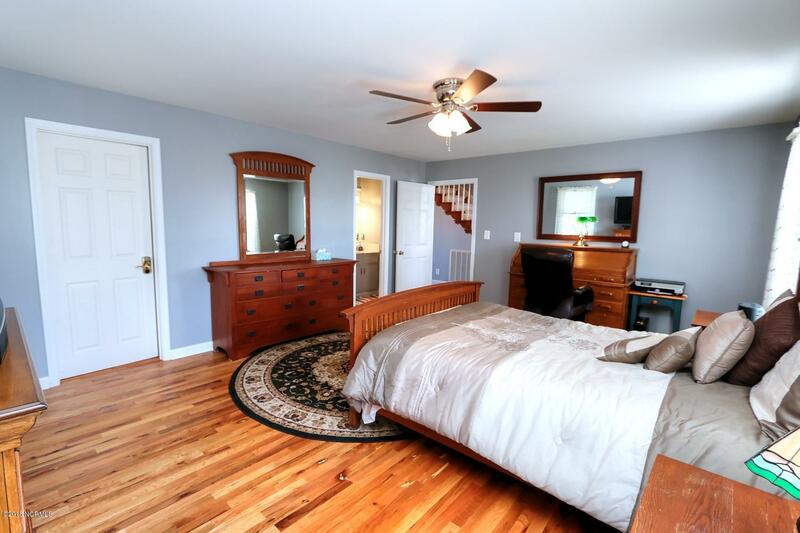 Another very unique feature about this home is that it has not 1, but 2 master suite bedrooms located on the primary level. 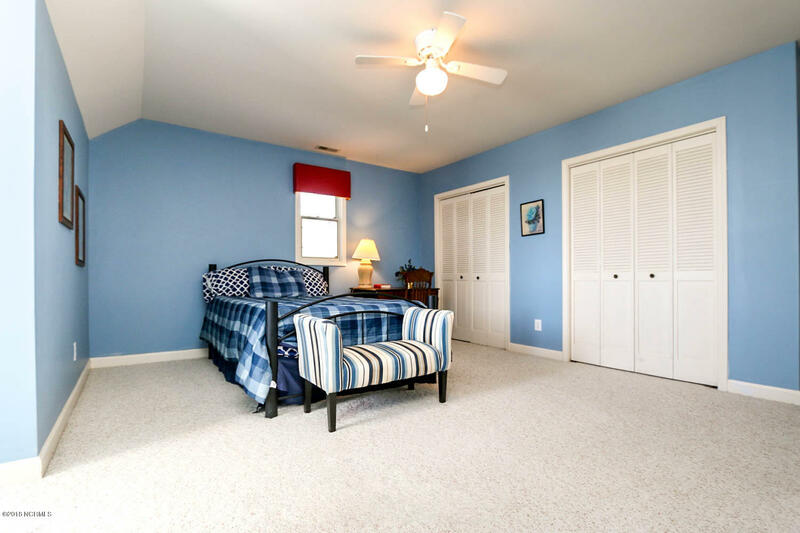 Both of these large and roomy master suites come with wood floors, 2 walk-in closets in each suite, and master bathrooms with walk-in showers. 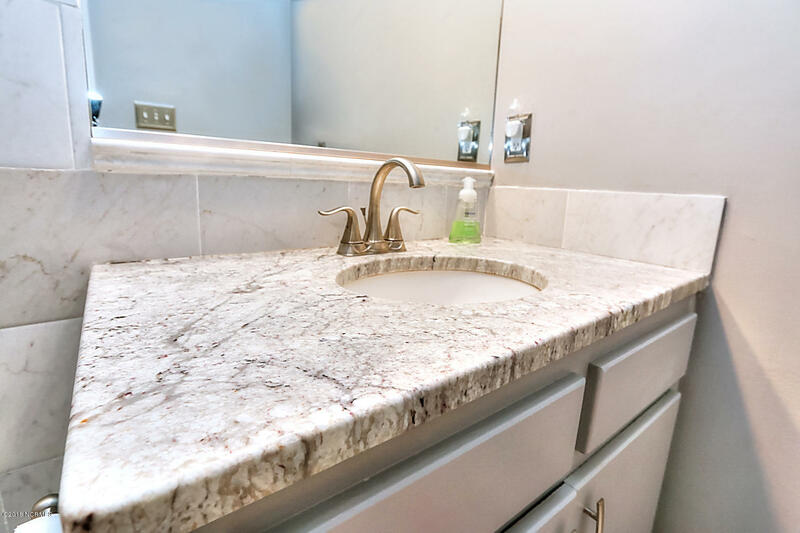 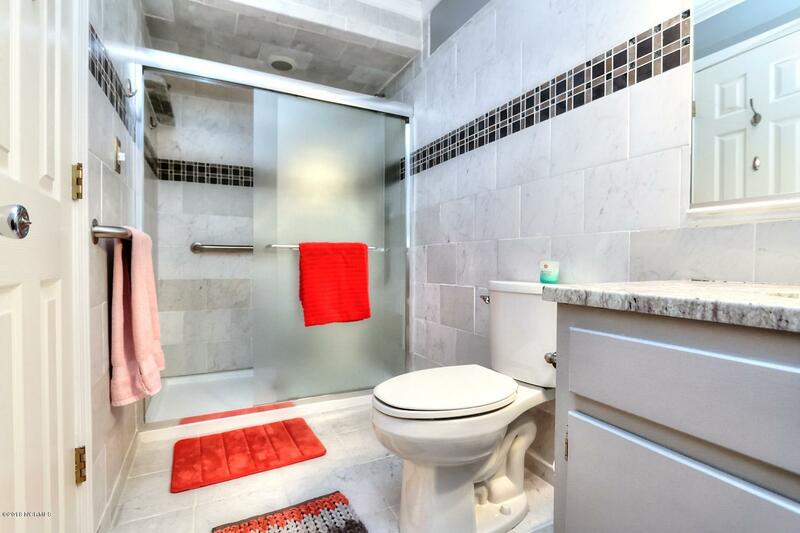 One of the master bathrooms has been wonderfully refurbished with tile as well as granite counter tops. 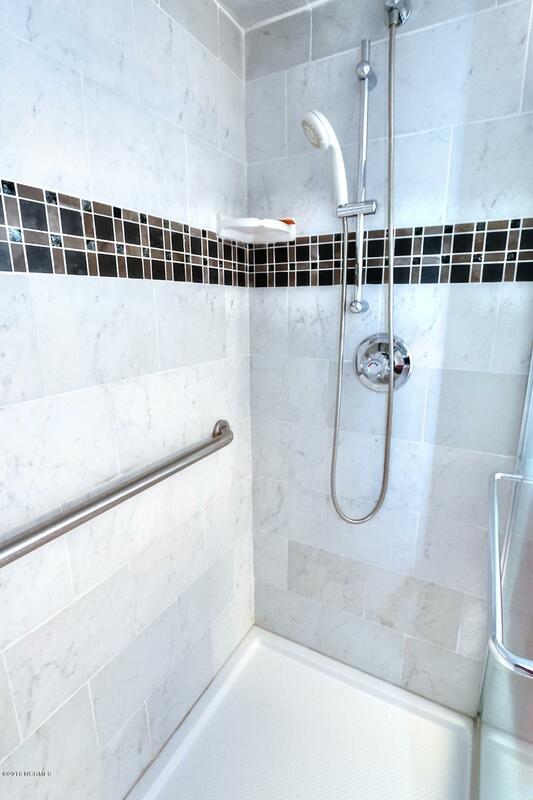 The many features and amenities continue as we move upstairs. 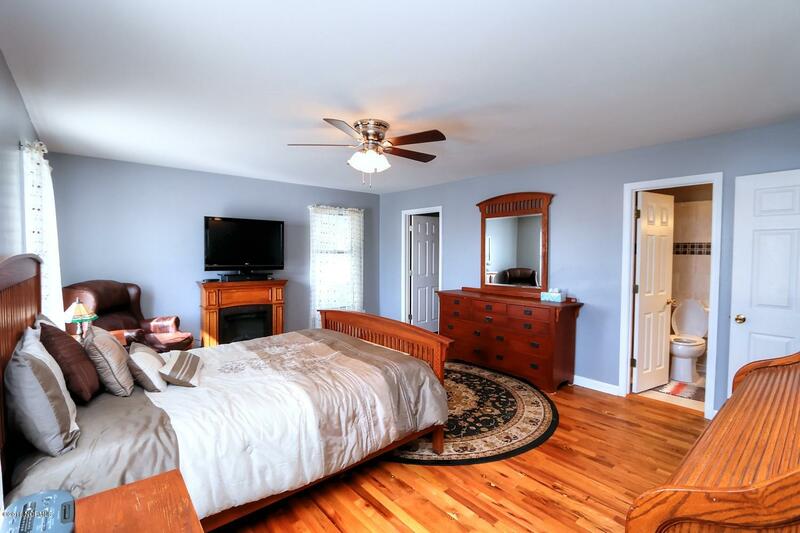 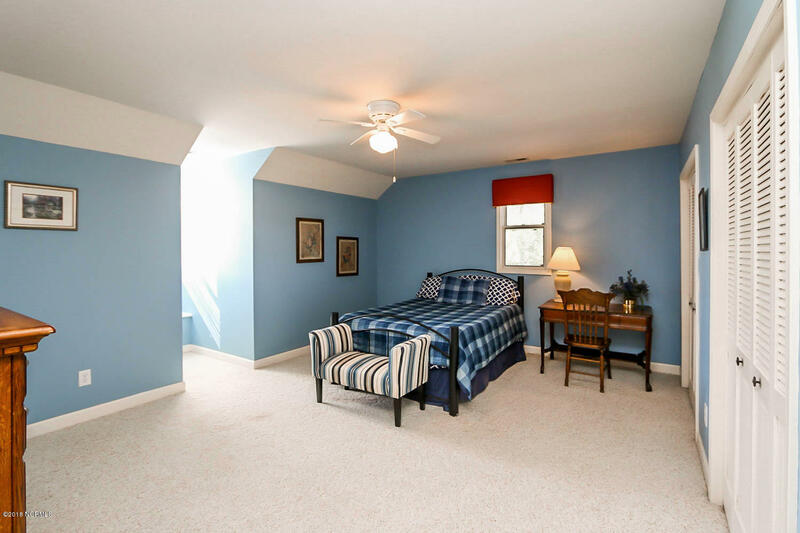 Here you’ll discover two rooms that mirror each other in size and comfort. 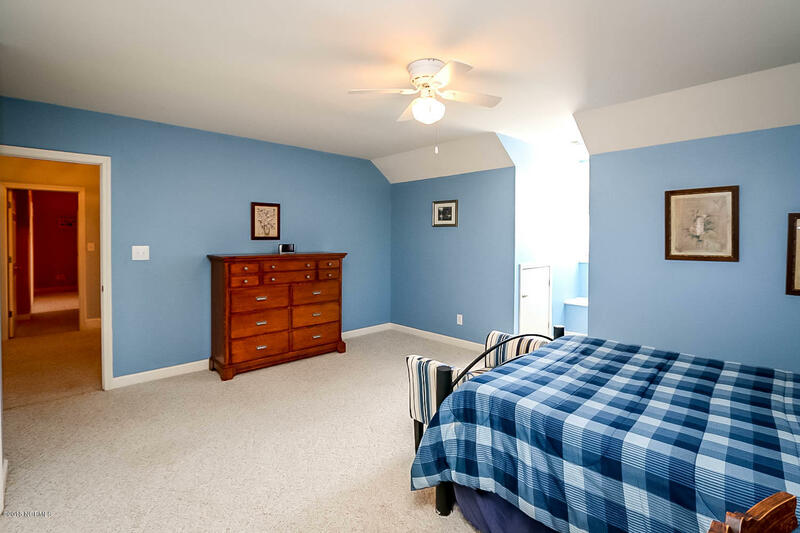 Although one is called a bedroom and the other a bonus room, both have dormer windows, both are very roomy, both have their own closets. 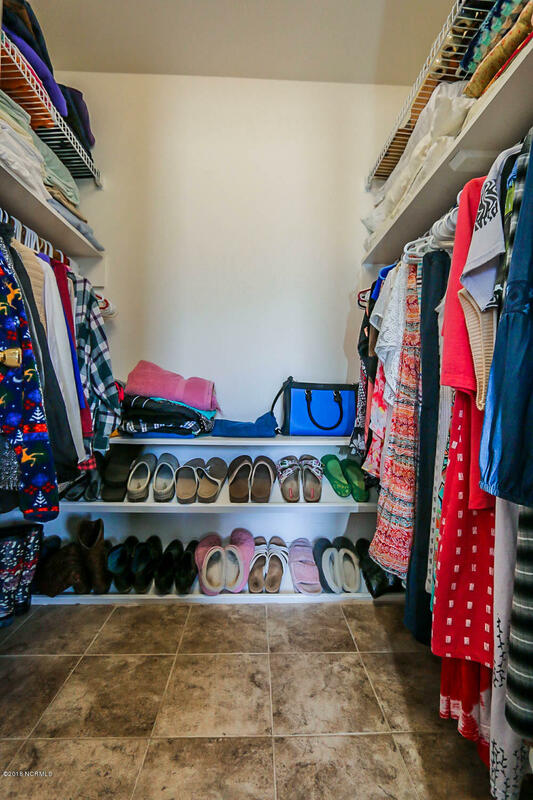 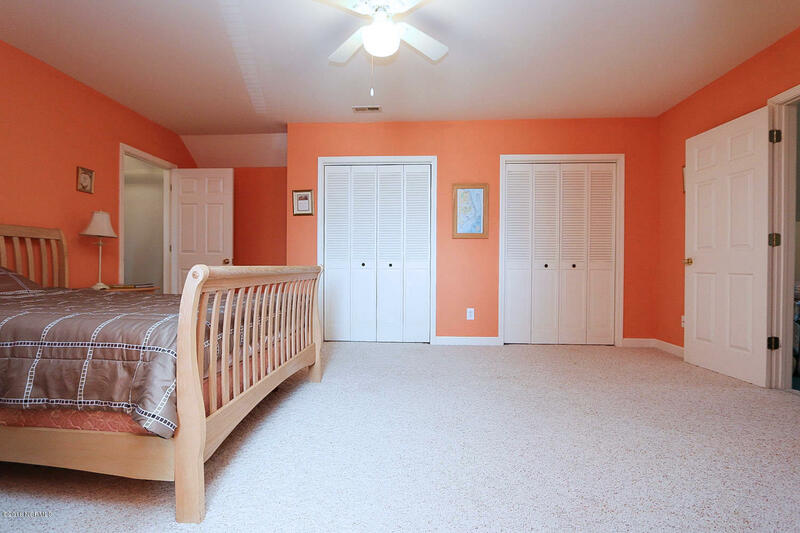 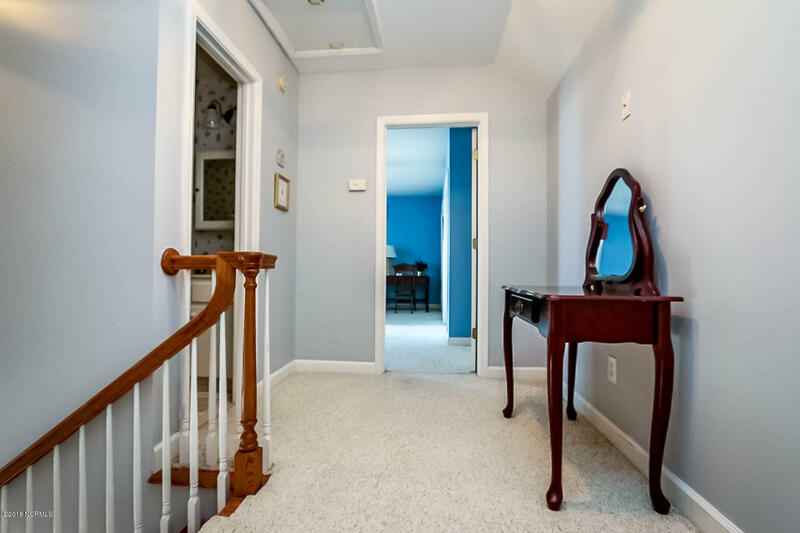 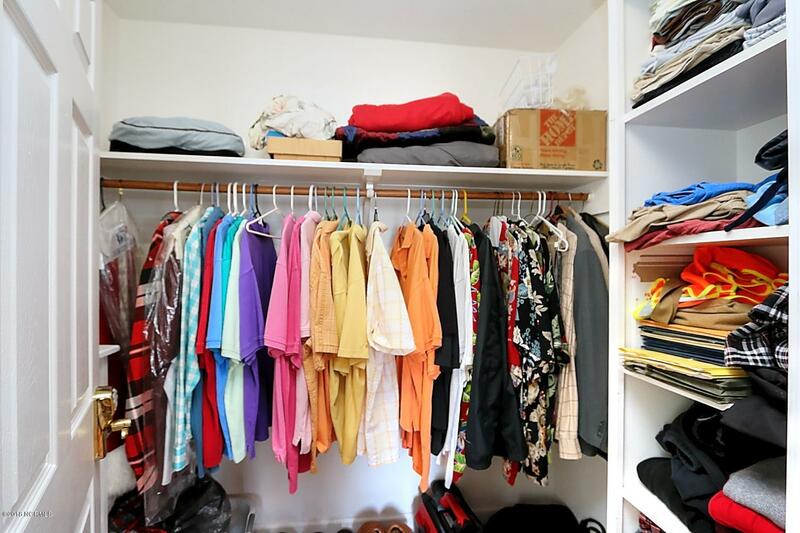 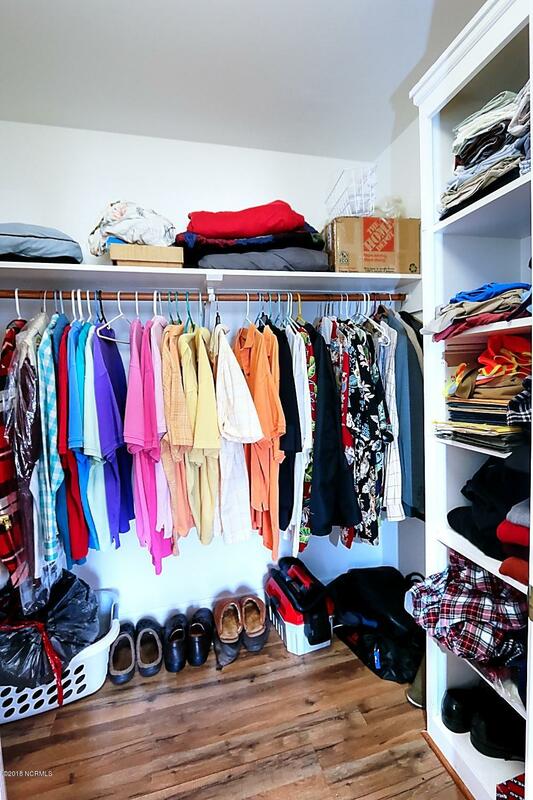 Each closet has an access door inside that leads to a huge walk-in attic storage space. 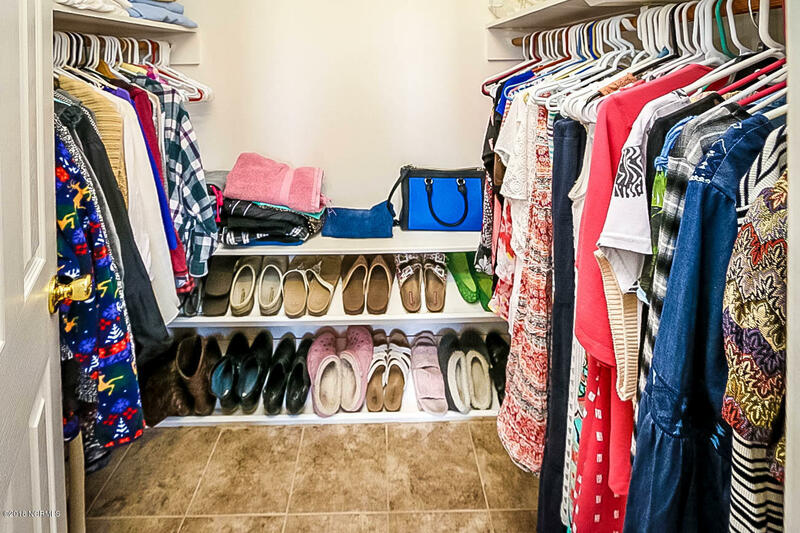 This walk-in storage space is floored and connects one room to the other. 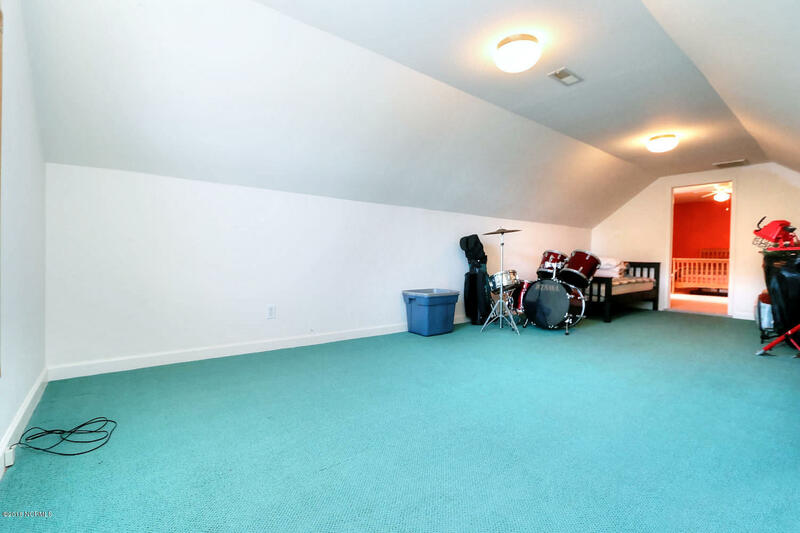 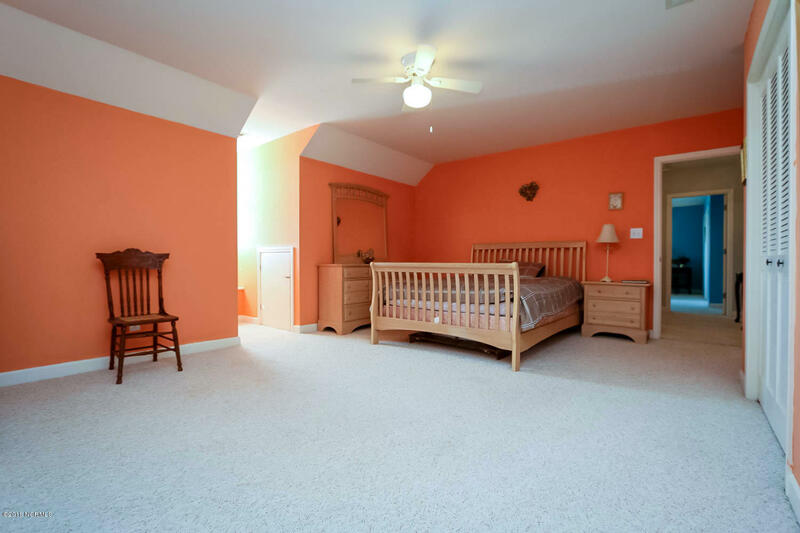 The bonus room, that is used as a fourth bedroom has access to a Finished Room Over the Garage (FROG). 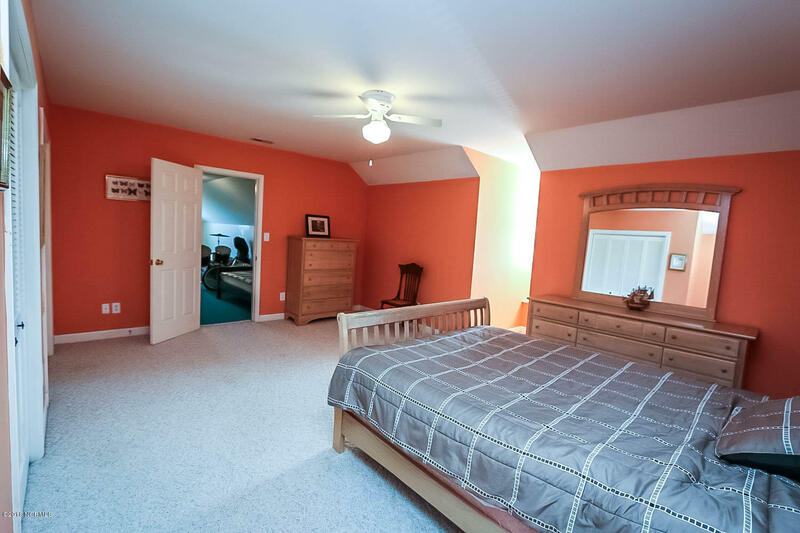 The FROG is currently being used as a storage room, but is perfect for a home office, workout room or additional bedroom! 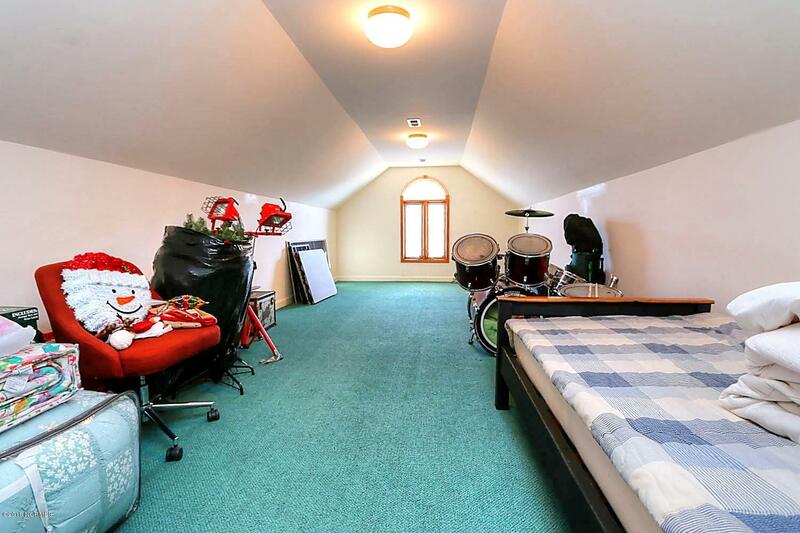 The FROG has a closet and heat and air conditioning. 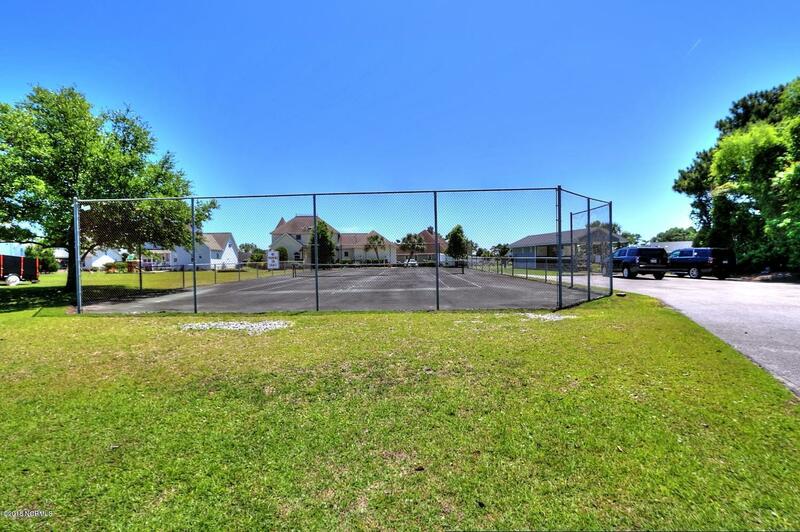 Some outside features include a landscaped yard, outside shower and a double wide driveway with access to the fenced backyard. 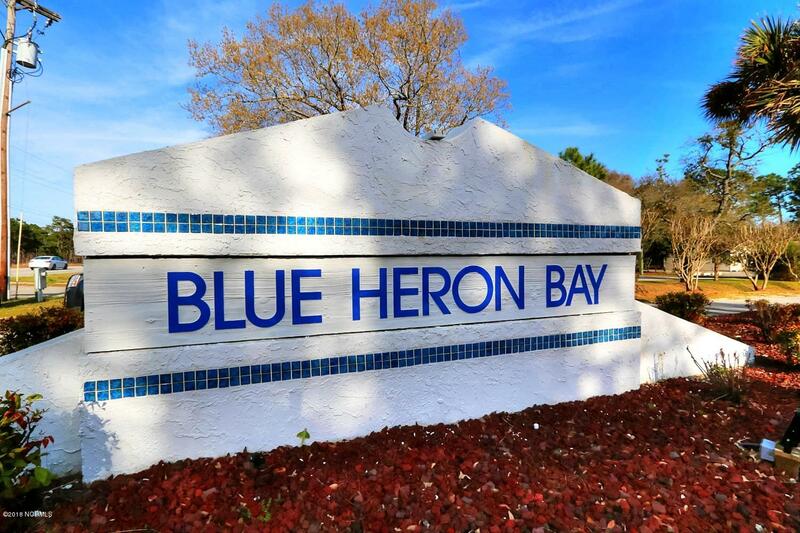 Some of the amenities that Blue Heron Bay subdivision have to offer include beautiful views, great place to walk or bike, water access, marina, boat ramp, tennis courts and an in-ground swimming pool (currently under renovations)! 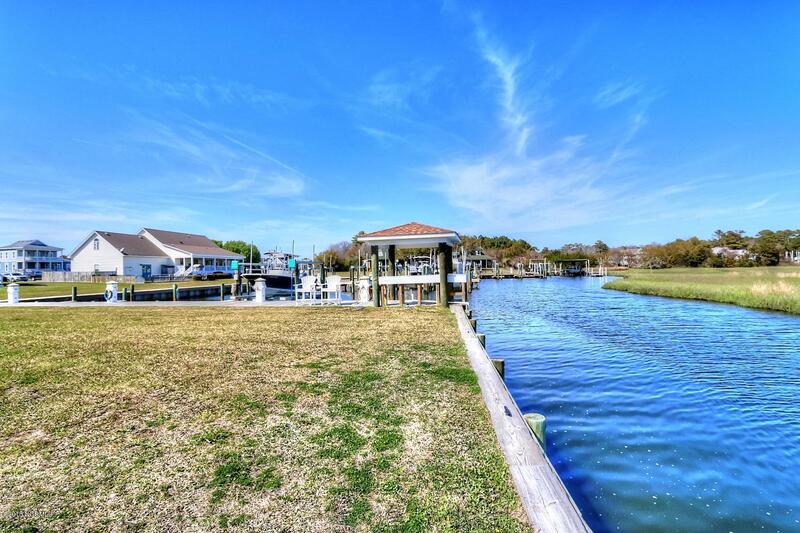 503 Blue Heron Dr. has 3 bedroom septic system, well water which is treated by reverse osmosis system by Kinetico. 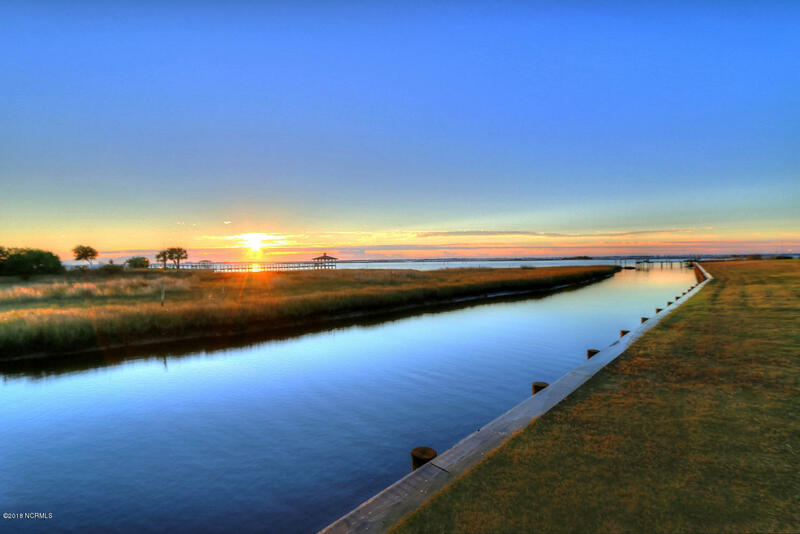 Water is available through the West Carteret Water Company. 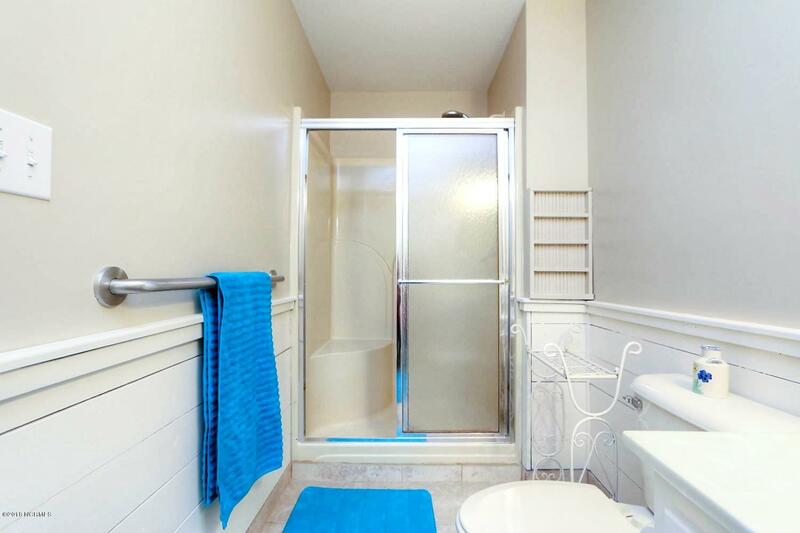 The current owners have paid the water tap fee and can be switched when ready. 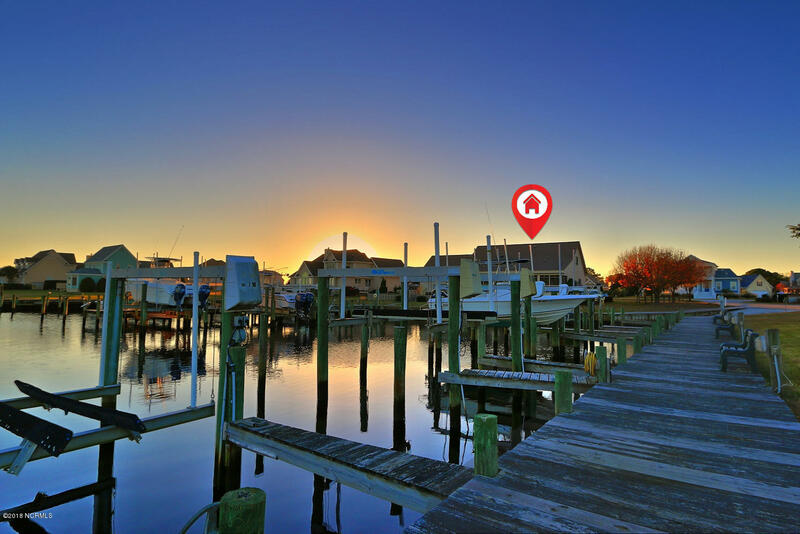 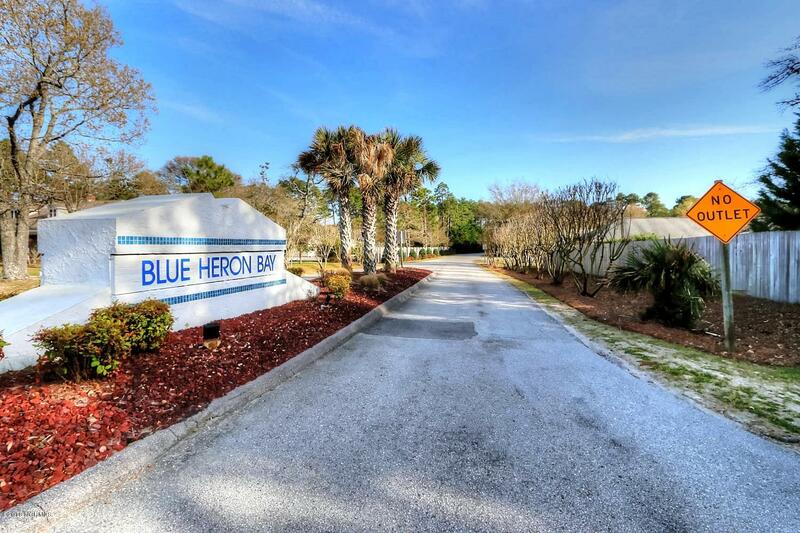 Blue Heron Bay community is conveniently located between Morehead City, Beaufort, Swansboro and Jacksonville, NC. 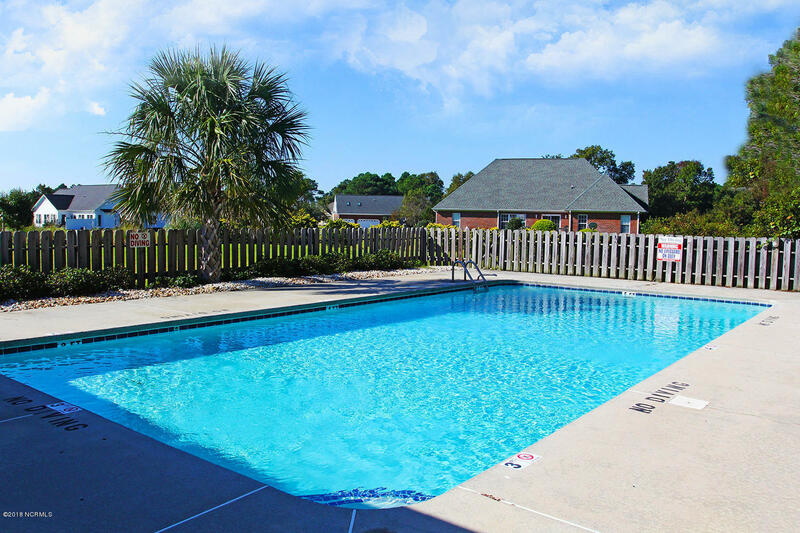 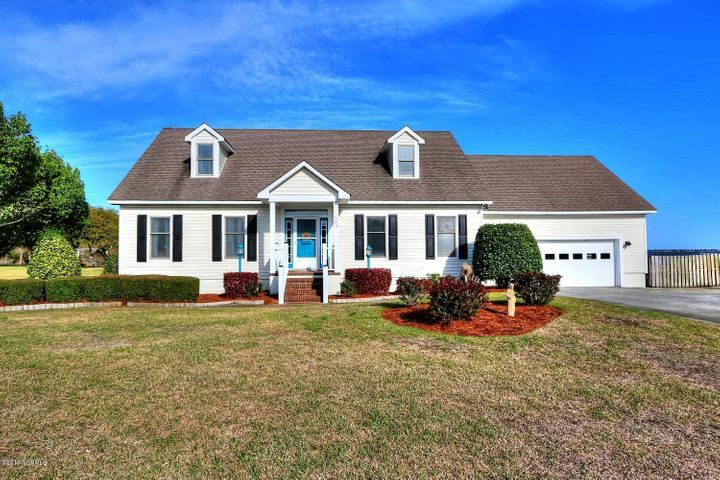 It provides quick and easy access to major highways and 10-15 minutes from Emerald Isle and all the pristine beaches of the Crystal Coast. 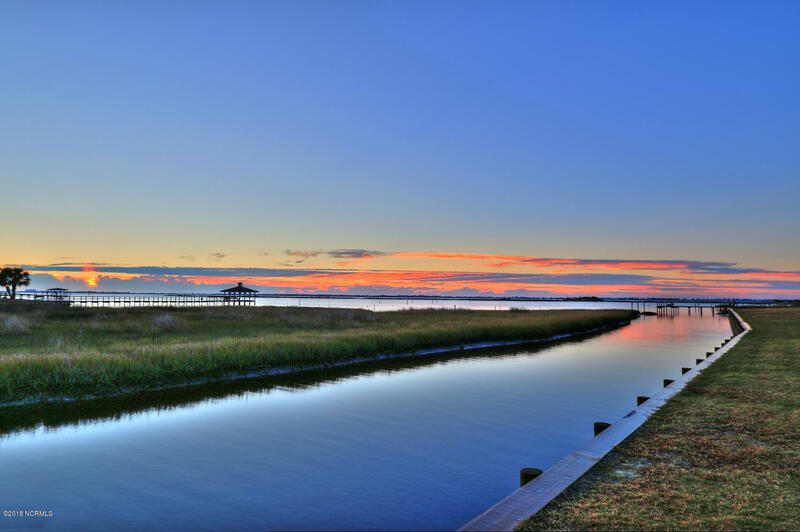 It falls within the nationally acclaimed Croatan School system. 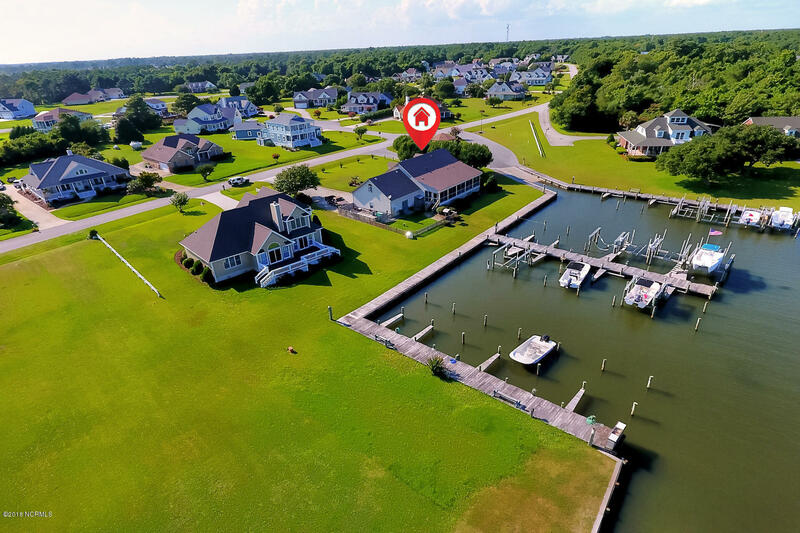 CONTACT MARGARET HITCHCOCK WITH HITCHCOCK REALTY TODAY (252) 269-2893 TO ARRANGE YOUR PRIVATE VIEWING OF THIS FABULOUS WATERFRONT HOME. 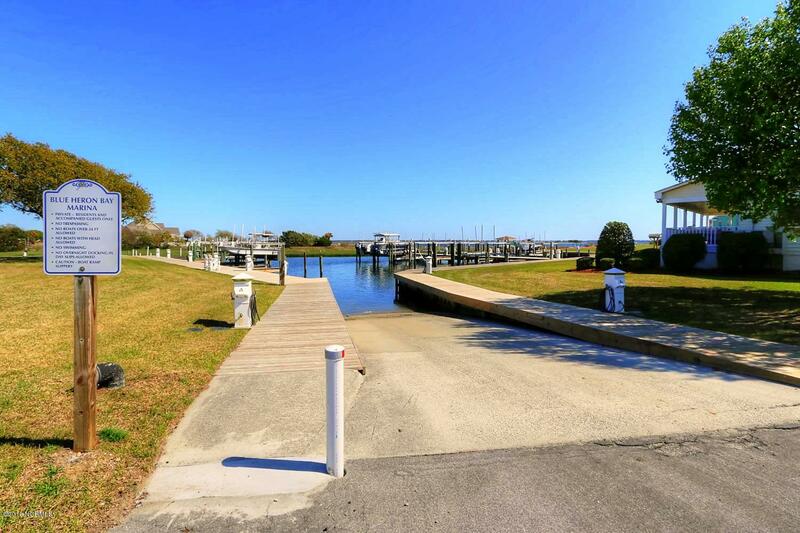 HARD TO FIND QUALITY HOME ON DEEP WATER WITH A BOAT SLIP & LIFT ADJACENT TO THE ICW. 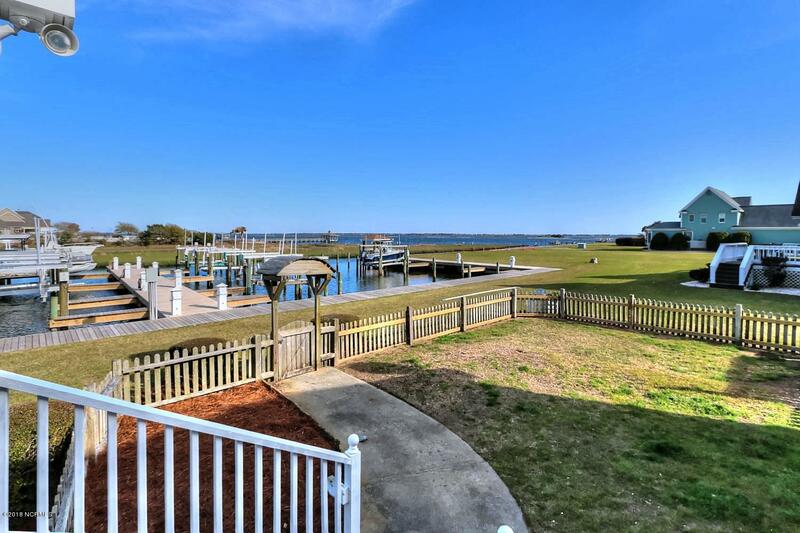 BRING YOUR BOAT AND DOCK AT THIS WATERFRONT BEAUTY! 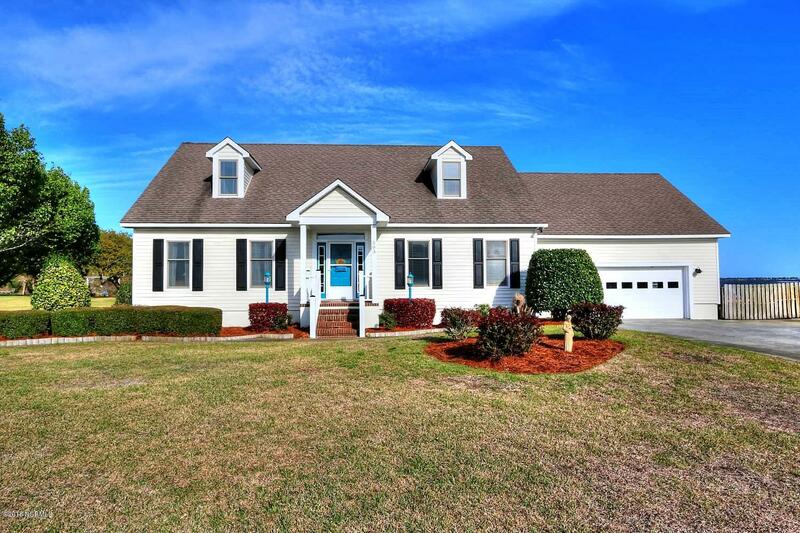 Home features 2 MASTER SUITES (with own baths & walk-in closets) ON PRIMARY FLOOR, 2 large bedrooms on 2nd floor plus a huge bonus room. 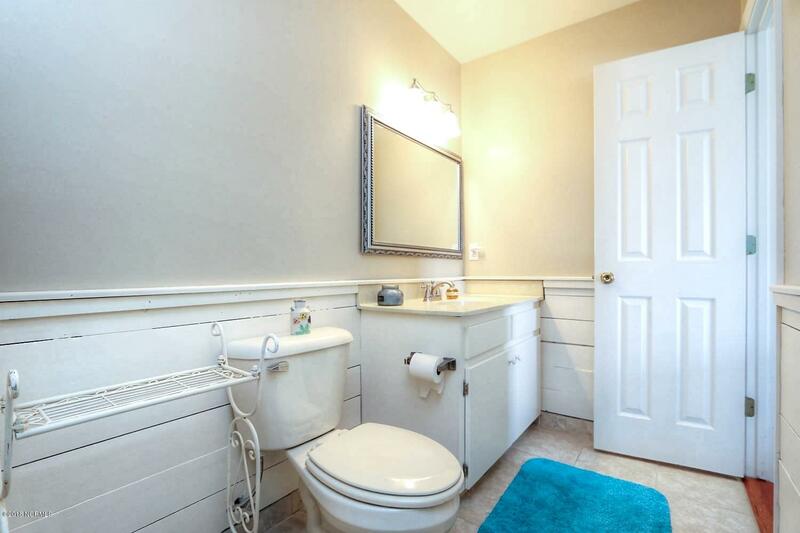 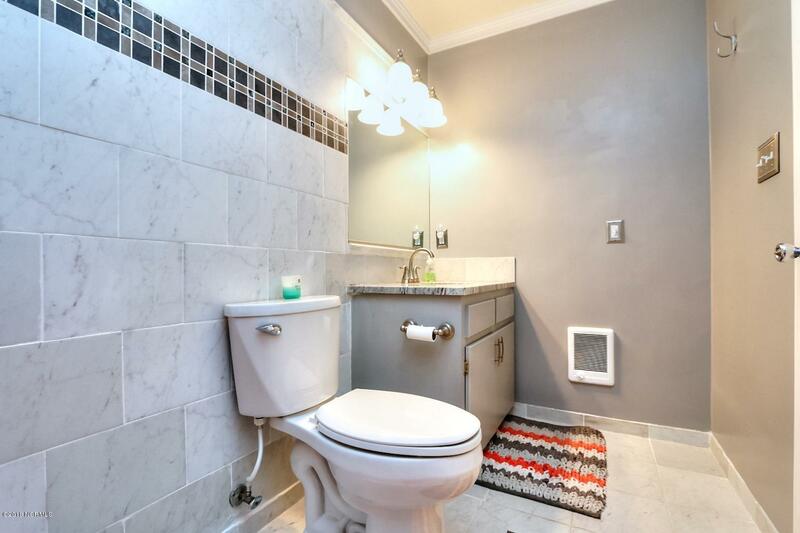 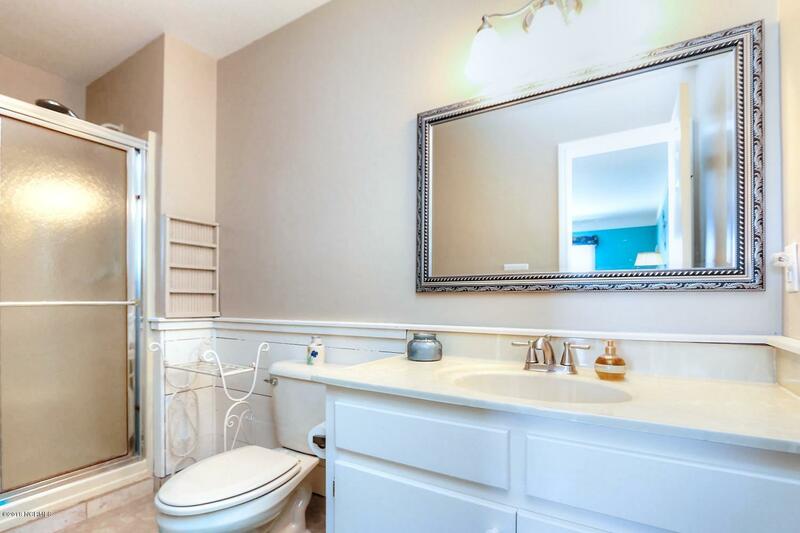 Total of 3 full & 1 half bath. 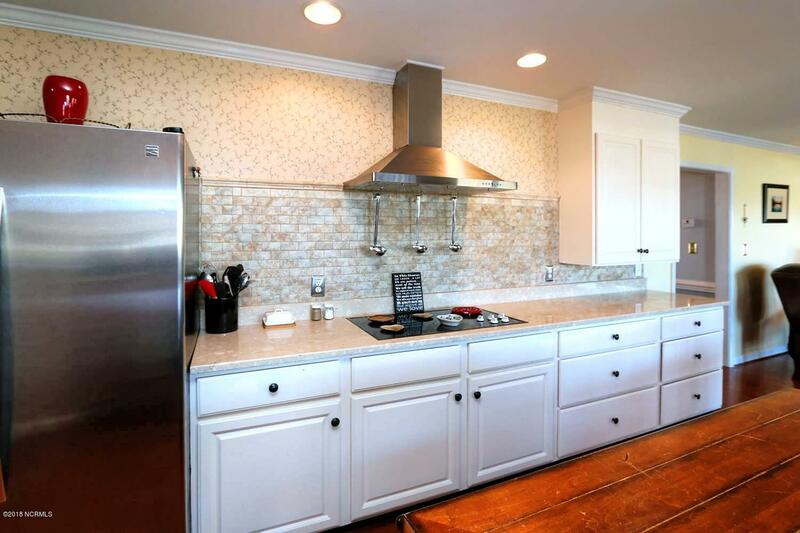 Kitchen has granite countertops and new stainless steel appliances. 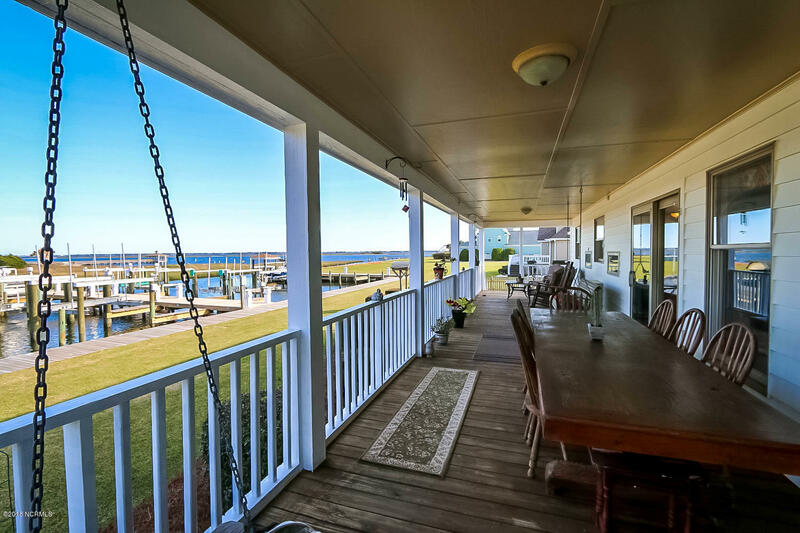 You will love spending your time on this huge porch looking at the waters of Bogue Sound, sunsets & glorious sunrises. 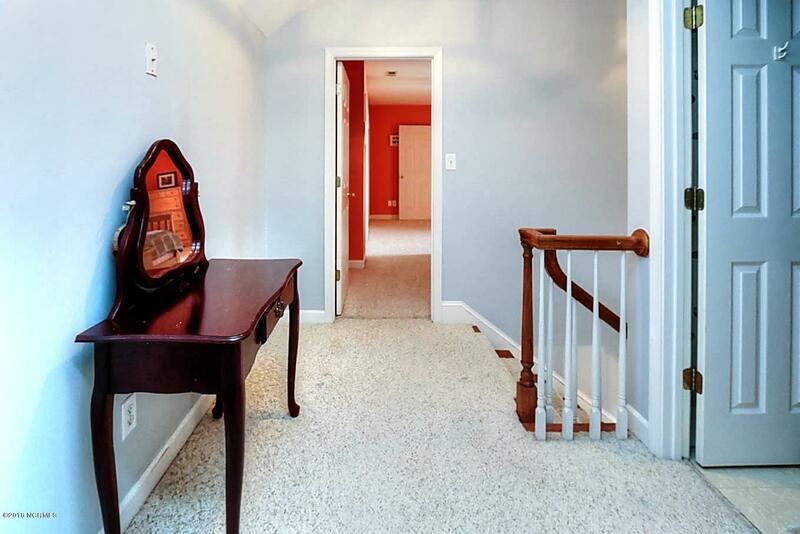 Enjoy entertaining your friends & family in this large newly updated kitchen that opens into a sunny living room. 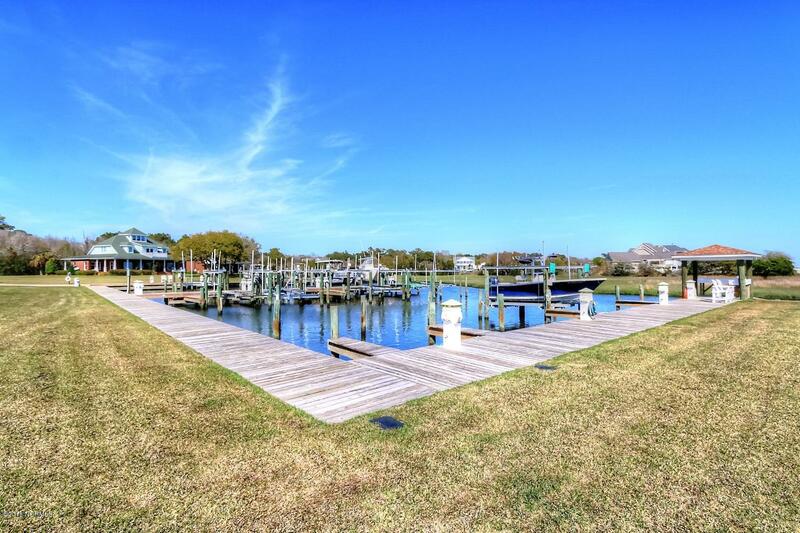 This great neighborhood has a in-ground pool, tennis court, boat ramp & marina. 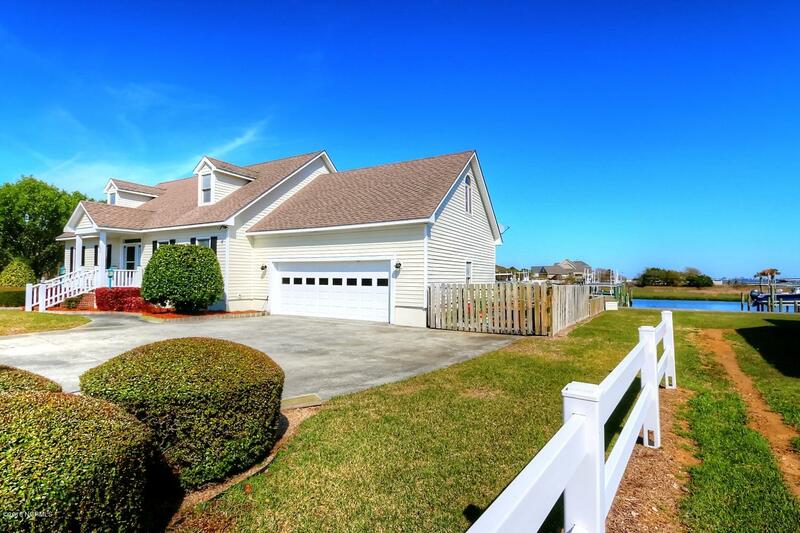 No city taxes, excellent schools, 15 min. 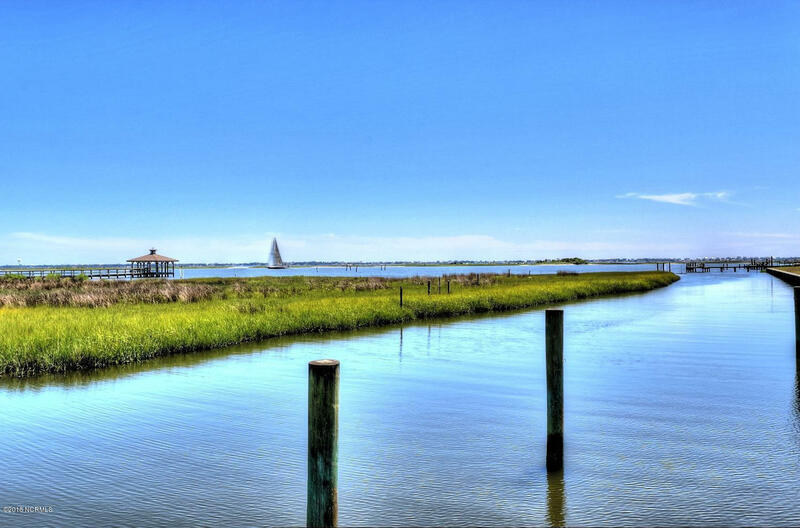 drive to the Crystal Coast beaches. 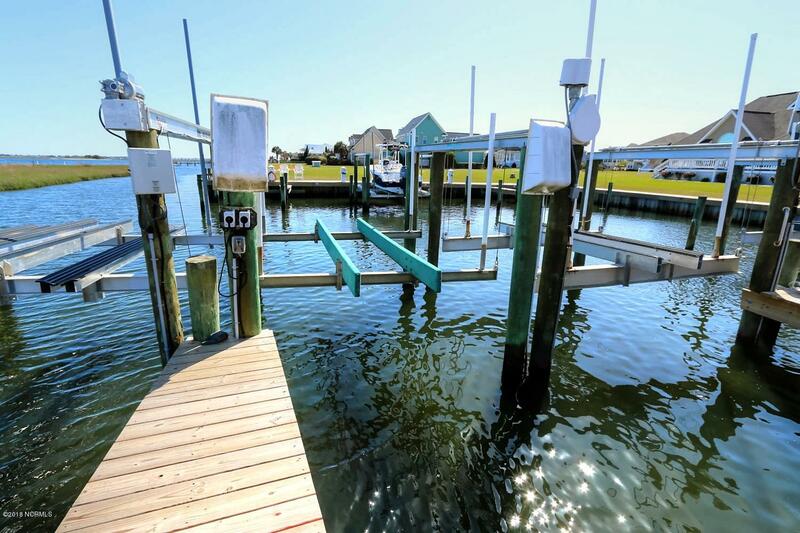 Boat Slip #18 with lift conveys. 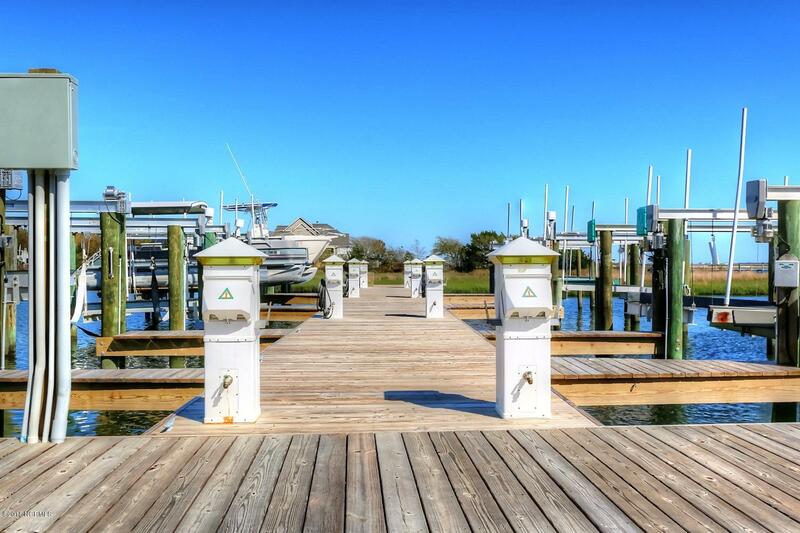 Directions to Property: Hwy 24 to Blue Heron Bay gate, turn into Blue Heron Dr. First house on left after the marina. 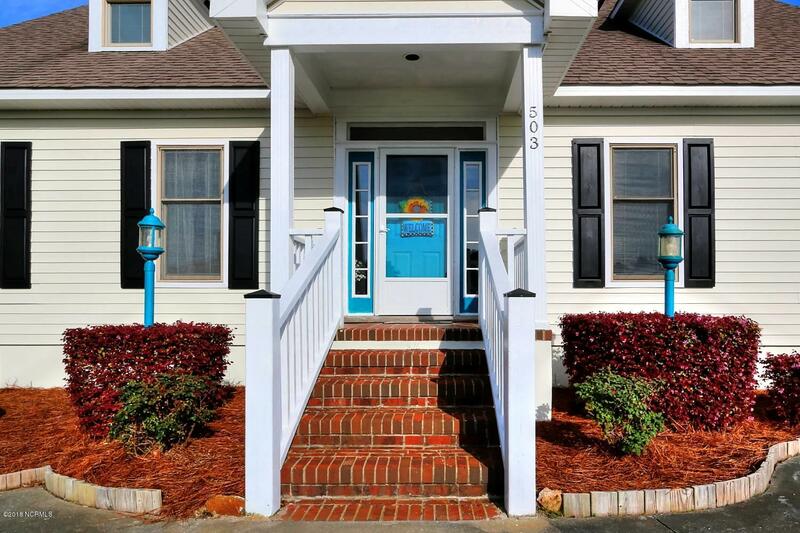 See For Sale sign.